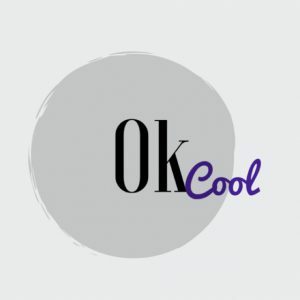 Welcome to Ok Cool, a podcast about dating and relationships. In this podcast, your hosts, a Chicago blogger, Amanda Elliott and an LA-based author, Duan M. Davie II talk about modern dating and relationships. As friends over the past few years, they have confided in each other about dates, settling, and what it means to find your soulmate. While it’s easy to become frustrated because men and women think differently, we encourage our listeners to overcome these obstacles and pursue relationships instead of turning passive aggressive – or worse – just Netflixing and Chilling. Amanda suggests you start with The Five Love Languages and Duan insists that Men Are From Mars, Women Are From Venus is the holy grail of how men and women think differently. Listen to these two singles as they discuss common scenarios in online dating, first dates, casually dating, marriage and every nuance in between. Amanda Elliott is a twenty-something, Chicago blogger and speaker. While she loves Instagram and connecting with suitors and mentors on social media, she believes that meeting people in person is important. After attending numerous fashion, startup, and creative events, she founded the blog, Windy City Cosmo in 2015 to help people make connections in the city as they build their businesses, start and end relationships, and see and be seen. Duan M. Davie II is a thirty-something, LA-based author, coach, investor, artist and philanthropist. After a successful music career as the rapper, CAsteezy, Duan has continued to explore his artistic talent as a coach and recent author. In May 2017, he published The Secrets of Motivation: The Internal Game of Success. In his free time, he plays basketball, reads a book a day, and practices Feng Shui interior design.